Where can I buy and store Litecoin? What is Litecoin? The Most Comprehensive Guide Ever! What is Litecoin? A Basic Beginners Guide. Litecoin has taken the world by storm. As more and more people are embracing the world of cryptocurrency, people are looking for investment opportunities outside of Bitcoin and Ethereum. Litecoin clearly looks like a popular choice. Consider this: The price of litecoin has increased by 7,291% from the beginning of 2017! In comparison, bitcoin “only” increased by 1731%. Anyway, in this guide, we are going to do a deep dive on litecoin. Let’s take a peek underneath the hood and see how it functions. While Bitcoin was seen as “gold” and a store of value for long-term purposes, Litecoin was seen as the “silver” and a means of a transaction for cheaper and everyday purposes. So, on October 7 2011, litecoin was released via an open-source client on GitHub. 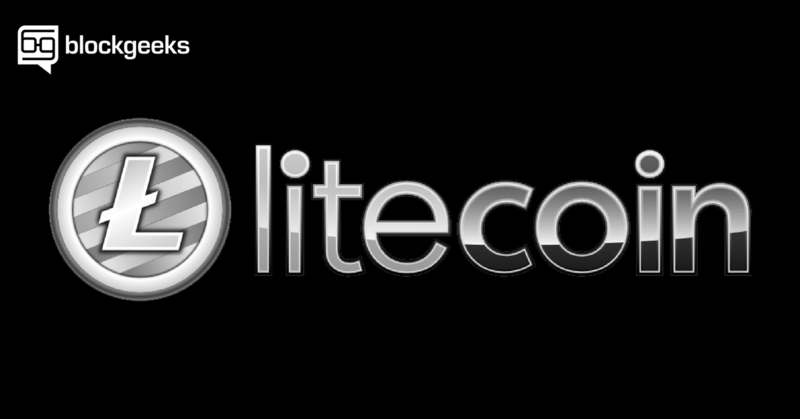 The Litecoin Network went live on October 13 2011. It is basically a fork of the Bitcoin Core client. If we are to truly understand Litecoin, comparisons with Bitcoin is a must. Litecoin, by their own admission, is a clone of Bitcoin. So, what are some of the fundamental differences that set it apart from bitcoin? Let’s explore them one by one. One of the most fundamental and technical differences between the two is their mining procedure. Both use Proof-of-work consensus mechanism. Proof-of-work is pretty straightforward to understand. The miners use their computational power to solve extremely hard cryptographic puzzles. The puzzle solving needs to be extremely hard, if it is simple then miners will keep mining blocks and drain out the entire bitcoin supply. However, while the puzzle solving part is difficult, checking to see if the solution of the puzzle is correct or not should be simple. And that, in a nutshell, is proof of work. Solving the puzzles and getting a solution should be tough. Checking to see if the solution is correct or not should be difficult. Now, both bitcoin and litecoin go about this a little differently. Bitcoin uses the SHA-256 hashing algorithm for its mining purposes. Before long, miners discovered that they could exponentially increase their mining power by joining together and forming mining pools via parallel processing. In parallel processing, program instructions are divided among multiple processors. By doing this, the running time of that program decreases greatly and that is basically what the mining pools are doing. The SHA 256 puzzles require a lot of processing power, and that gave rise to specialized “application-specific integrated circuits aka ASICs. The only purpose that these ASICs served was bitcoin mining. These mining pools would basically have an entire powerplant of ASICs designed specifically for bitcoin mining. Mining, as originally envisioned by Satoshi, was supposed to be a very democratic process. The idea was that any average Joe can sit on his laptop and contribute to the system by becoming a miner. However, with the rise of the ASIC plants, the average Joes have no chance to compete with the big companies. Image Credit: DigiconomistBitcoin annually consumes 32.73 Twh power! That’s nearly as much as Denmark consumes and more than Oman, Morocco, and Serbia. Image Credit: DigiconomistAlong with this, the effects that it can have on the environment is potentially very devastating. 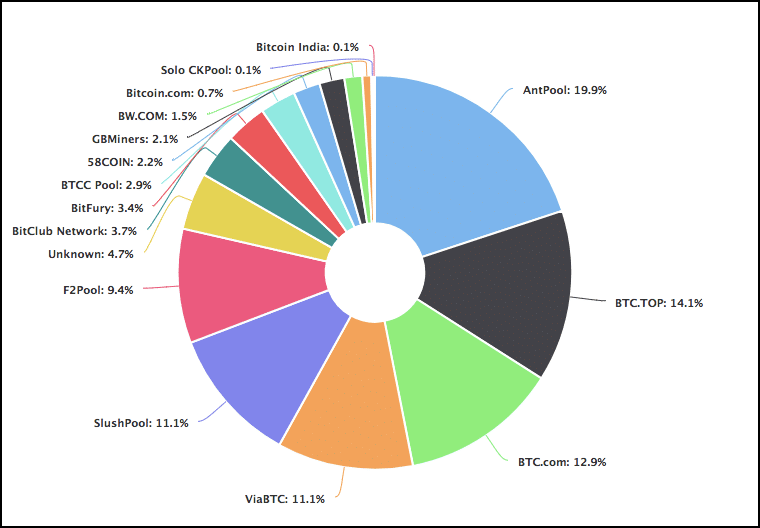 Image Credit: Blockchain.infoAs of right now, more than 50% of bitcoin’s hashrate is used up by 5 mining pools alone!If a pool ever manages to get 51% hashrate, then they can launch a 51% attack on the blockchain. So, to combat these issues, Litecoin uses the Scrypt algorithm. Scrypt was originally named “s-crypt” however it is pronounced as “script”. While this algorithm does, in fact, utilize the SHA 256 algorithm, its calculations are way more serialized than the SHA-256 in bitcoin. As such, parallelizing the calculations is not possible. Suppose we have two processes A and B. In bitcoin, it will be possible for the ASICs to do A and B together at the same time by parallelizing them. However, in Litecoin, you will need to do A and then B serially. If you try to parallelize them, the memory required becomes way too much too handle. Normal people can compete by buying simple day-to-day memory cards instead of super-specialized ASICs. Pound-for-pound, memory is way more expensive to produce than SHA-256 hashing chips. Scrypt has been deliberately designed to make sure that mining is accessible and democratized as possible. However, recently companies like Zeus and Flower Technology have managed to create Scrypt ASICs. This would, unfortunately, mean the demise of their dream of democratized mining. Because of network congestion and slow block mining times, the median time waiting time for transactions can fluctuate up to 29 mins! This feature is extremely useful for merchants who need to do a lot of mini-transactions per day. Using litecoin, they can get two confirmations within 5 mins while just one confirmation in Bitcoin will take at least 10 mins. Another major advantage of the faster block creation time is the variance in miner rewards. Since the time between blocks is so small, more and more miners get the opportunity to mine blocks and earn the mining rewards. What this means is that the mining rewards should theoretically be more well-distributed in Litecoin and, by extension, it should be more decentralized. However, there are some disadvantages that come along with the faster transaction speed. Firstly, since the block creation time is so low, it leads to the formation of more orphaned blocks. What exactly are orphaned blocks? Mining, in every sense, is a competition between miners. You have a bunch of miners and pools desperately trying to mine the next block that will be added to the chain. There have been instances when more than one miner was able to come up with a blockchain which could be added the chain. In litecoin, since the downtime between the blocks is so low, the chance of miners mining orphaned blocks increases exponentially. Orphaned blocks are just a drain on the system. Secondly, there is an immense strain on the blockchain. Look at the number of transactions happening in the litecoin chain. 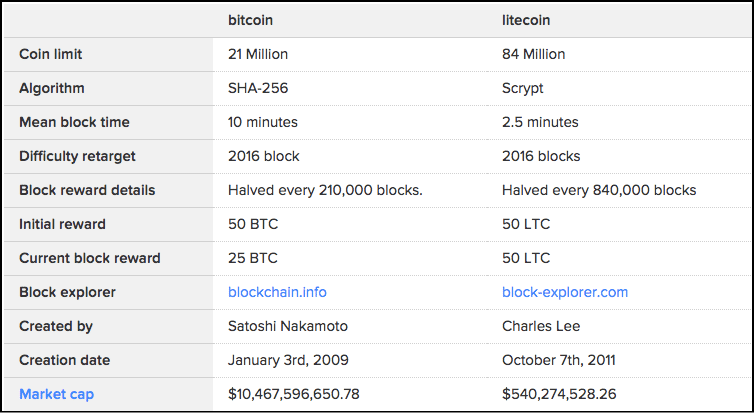 Now, while it is true that litecoin was made specifically for transaction volume, it still puts immense strain and clogs up the blockchain. 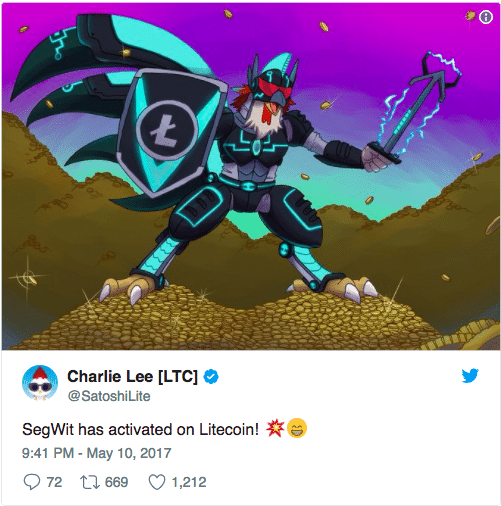 Litecoin solved this problem to the great extent by introducing Segwit. We have covered Segwit in great detail before. In here we are just going to give you a brief overview of what it is. Before we continue, a huge shoutout to Professor Donald J Patterson and his Youtube channel “djp3” for the explanation. We are going to be using bitcoin’s example and script. Following is what the transaction looks like in script form. See the input data? Alice is only using one input transaction. It can be easily manipulated which can cause transaction malleability attacks. It eats up a lot of space in each and every block. So, that’s where Segwit came up with a simple solution. 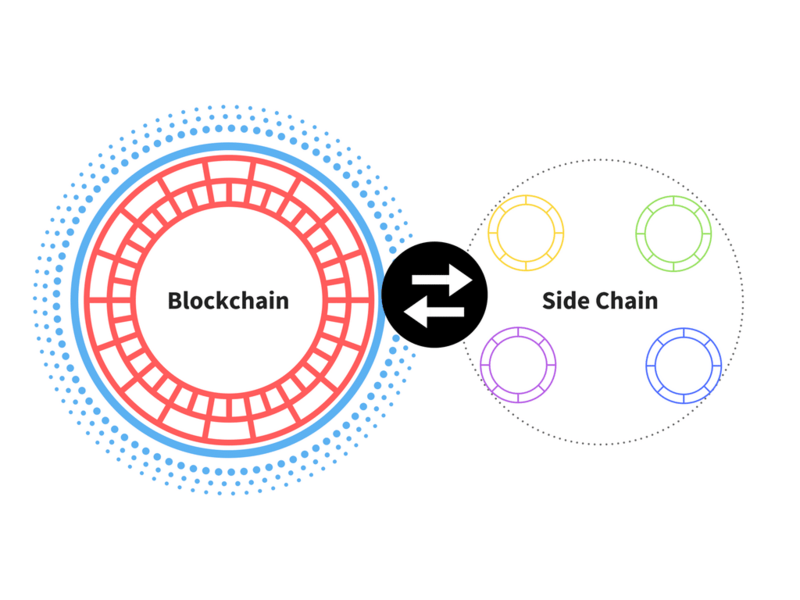 Sidechain as a concept has been in the bitcoin circles for quite some time now. The idea is very straightforward; you have a parallel chain which runs along with the main chain. The side chain will be attached to the main chain via a two-way peg. 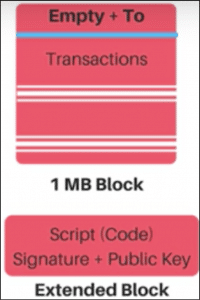 So by removing the signature data from the transactions, it was killing two birds with one stone, the block space got emptier and the transactions became malleable free. Since litecoin implemented Segwit, the load on their chain has considerably decreased. On July 2015, the bitcoin network was subjected to a flood attack. A flood attack is an attack where the network is flooded with spam transactions, which basically fills up the blocks and clogs up the blockchain. In this particular attack the network was congested with thousands of transactions and at one point there were around 80,000 transactions in the mempool! So how does Litecoin save itself from flood attacks? 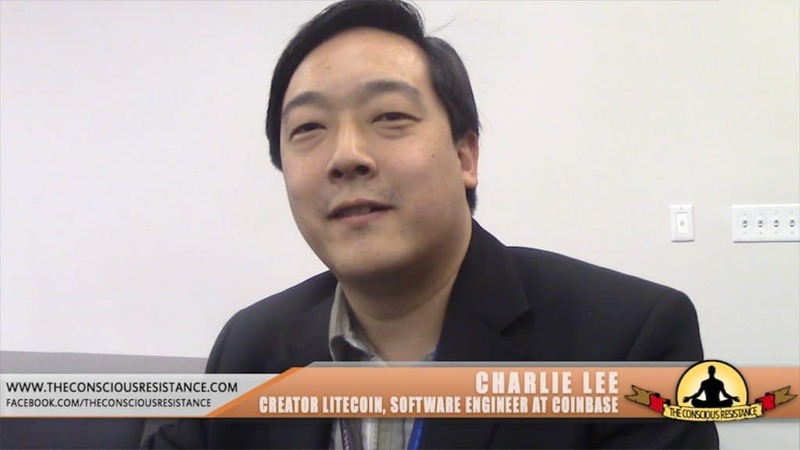 According to Charlie Lee, they do it by making the attack as economically infeasible as possible. This is what he said in his interview with cointelegraph. “The reason why it is immune to this attack is because it was attacked in a similar fashion (though to a much smaller degree) years ago. I noticed this flaw in Bitcoin and patched it in Litecoin. One of the most exciting features that litecoin is introducing is the “Atomic Swap”. Atomic swap enables a cross-chain exchange of coins without the need of a third party. Eg. If Alice had 1 bitcoin and she wanted 100 litecoins in return, she would normally have to go to an exchange and pay certain fees to get it done. With the implementation of Atomic Swaps, suppose Alice has 1 BTC and Bob has 100 LTC, they could simply swap their coins with each other, without going to through an exchange and paying any unnecessary transaction fees. Atomic swaps work by utilizing Hashed timelock contracts. Hashed timelock contracts or “HTLCs” are one of the most convenient applications of the payment channels. In fact, the Lightning Protocol is an implementation of the HTLC. So, what is an HTLC? Till now we have seen channels which use “timelocks”. An HTLC “extends” that by introducing “Hashlocks” along with the timelocks. The HTLC enables opening up of payment channels where funds can get transferred between parties prior to a pre-agreed deadline. These payments get acknowledged via the submission of cryptographic proofs. Along with that, another brilliant feature of the HTLCs is that it allows a party to forfeit the payment given to them and return it to the payer. This project is still at a nascent stage, however, on September 20th, Decred and Litecoin managed to complete a cross atomic swap by using a smart contract running on SCRIPT. As Jimmy Song notes in his medium article, since bitcoin, bitcoin cash, vertcoin all use SCRIPT, there may soon be atomic swaps possible between these, litecoin and decred! As of right now, Litecoin is 5th on the list of Market Cap. Bitcoin is obviously the big daddy when it comes to market cap. Along with the market cap, another major point of difference between the two is the number of coins out there in circulation. 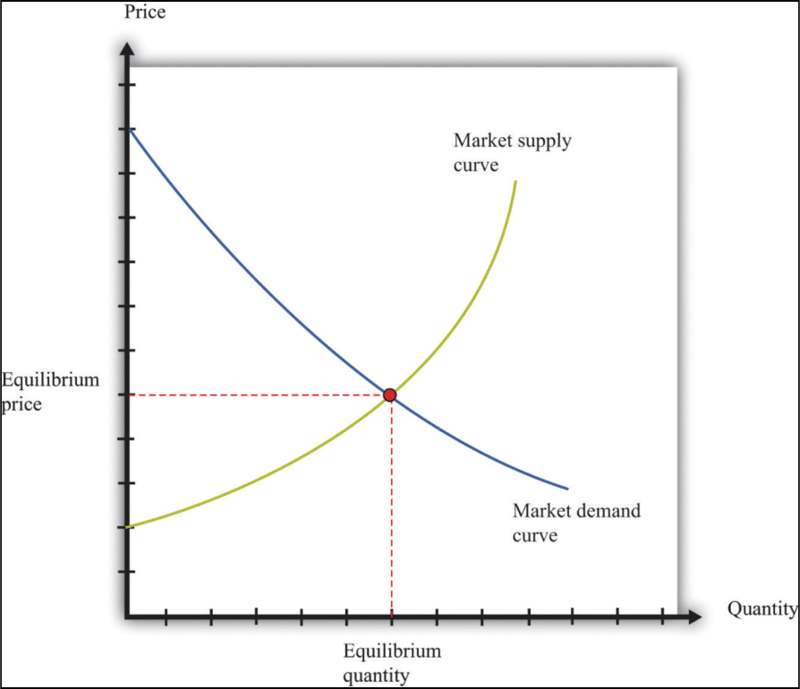 The reason why there is only a limited amount of these coins out there is that of one of the oldest principles of economics: Supply and Demand. So how does supply-demand works? Less the supply of a valuable asset more the value. Conversely, if the amount of an asset increases out of bounds, then it will greatly reduce the value of the asset. That is the reason why it was important for bitcoin and litecoin to have a limited number of coins. While bitcoin has 21 million coins out in the open, litecoin has 84 million. One of the major reasons why Litecoin’s value increased recently was its induction in Coinbase. As long as you can use them in your country it really is the best and fastest way to buy Litecoins. If you want a comprehensive list, then you can check this out. When it comes to storing litecoins, there are a ton of wallet options that you can use. Hardware wallets are physical devices where you can store your cryptocurrency. They come in a few forms but the most common is the USB stick style typified by the Nano Ledger series. Although many swear by them, hardware wallets are still prone to compromise. Firstly, you’re trusting that the company who made your wallet hasn’t logged all the private keys with a plan to raid wallets in the future. This applies to those bought from the company themselves, but particularly if a hardware wallet has been acquired second hand. Under no circumstances should anyone ever use a pre-owned hardware wallet. Desktop wallets are a form of hot wallets. Desktop wallets are downloaded and installed on a single PC or laptop and they are only accessible from that one device where it was downloaded. While it is a safer alternative than an online wallet, it can still be very inconvenient because you will not get access to your money unless you are on the device from which you downloaded the wallet. Exodus is a great example of a desktop wallet which supports multiple cryptocurrencies like Litecoin. Mobile wallets are a pretty good example of hot wallets. They are pretty convenient to use because all you need to do is to download an app into your phone. Paper wallets are an offline cold storage method of saving cryptocurrency. It includes printing out your public and private keys on a piece of paper which you then store and save in a secure place. The keys are printed in the form of QR codes which you can scan in the future for all your transactions. The reason why it is so safe is that it gives complete control to you, the user. You do not need to worry about the well-being of a piece of hardware, nor do you have to worry about hackers or any piece of malware. You just need to take care of a piece of paper. If you want to know how to create a paper wallet, then you can read our guide where we show a step-by-step guide to creating a bitcoin and ethereum paper wallet. You can create your own paper wallet from liteaddress.org. Litecoin as taken the world by storm over the last few months (as of writing). Cryptocurrency is becoming more and more mainstream and trusted. 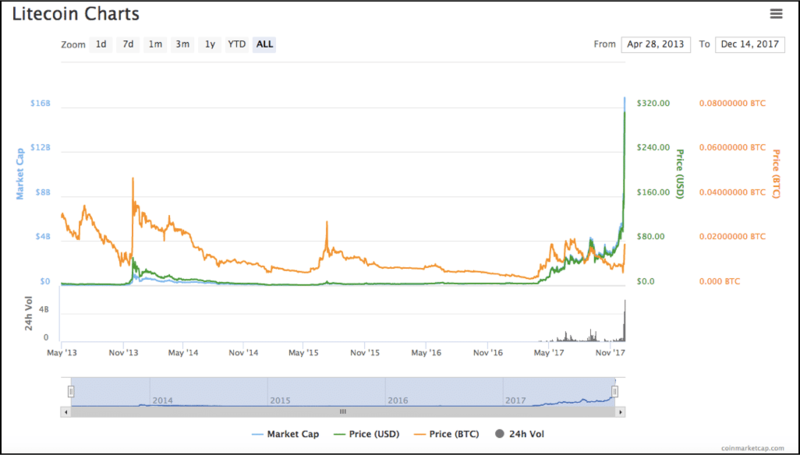 However, more than its dramatic rise what litecoin represents is far more valuable. It is true that litecoin was envisioned as bitcoin’s younger brother but its purpose has grown far more than that. 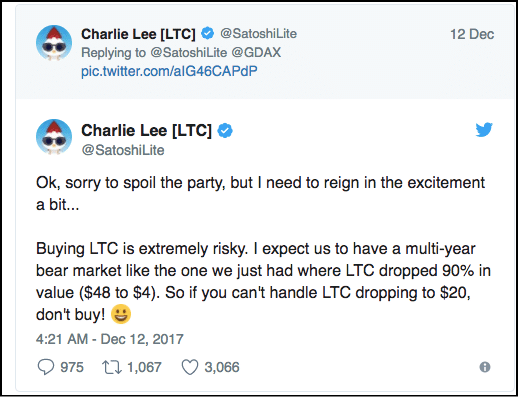 Over the last year or so, litecoin has time and again taken the risks needed to show the masses the true scope and potential of cryptocurrencies. They were one of the first to implement Segwit and they also successfully tested out atomic swaps. Along with that, they are actively looking to incorporate lightning network into their system. Seeing all this, the rise in its value is certainly well-earned.